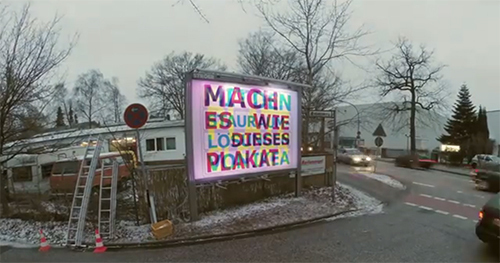 German ad agency Thjnk and production studio I Made This teamed up to create a unique RGB Billboard that revealed different messages depending on the colored lights. The billboard featured three different messages in three different colors i.e. cyan, magenta and yellow. At night, the billboard was lit up by red, green and blue (RGB) light bulbs, which made the different messages visible depending on the shinning light bulb. The red showed the cyan text; the green made the magenta text visible; and the blue light revealed the yellow text. 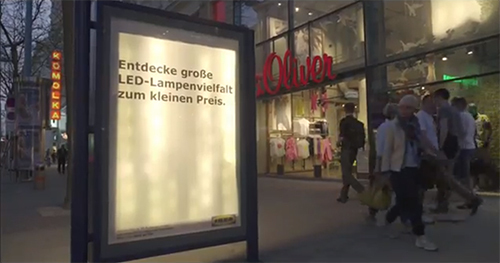 With this simple visual trick, the billboard made the most of its limited space and embodied Ikeas’s space-saving message. Ikea has been innovating every year with their classic paper catalog. In Norway they decided to take this classic paper catalog and make a social media version of it. 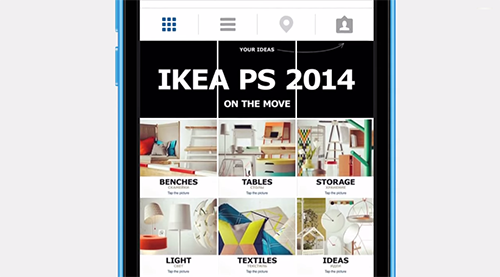 With zero budget, they asked their 130,000 Facebook and Instagram Fans to post the page of their favourite product on Instagram and add the hashtag #ikeakatalogen, for the chance of winning that product. As a result, every week someone won the product they posted and within four weeks the whole catalog was available on Instagram. 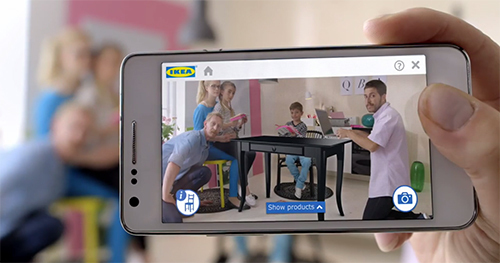 Last year Ikea re-imagined their catalog via a special visual recognition app that brought its pages and offerings within to life in the form of inspirational videos, designer stories, ‘x-ray’ vision that peeked inside furniture, and more. Ikea swapped all the regular neon tubes found in adshels around Vienna with their new range of LED lights. This way they made the product the medium and demonstrated that Ikea can turn ordinary things into something extra-ordinary. In an effort to provide abused children with a safe way to reach out for help, a Spanish organization called ANAR, created an ad that displayed a different message for adults and children at the same time. 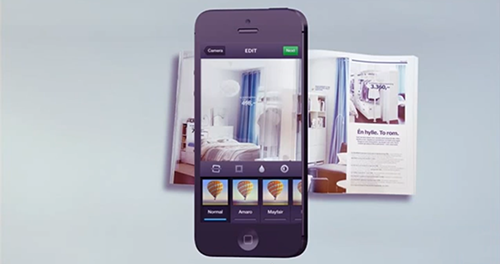 The ad used a lenticular top layer to show different images at varying angles. So when an adult looked at it they could only see the image of a sad child and the message: “sometimes, child abuse is only visible to the child suffering it.” But when a child looked at the ad, they saw bruises on the boy’s face with a different message: “if somebody hurts you, phone us and we’ll help you” alongside the foundation’s phone number.